With a large backyard you'll need to store tools to maintain your landscape. 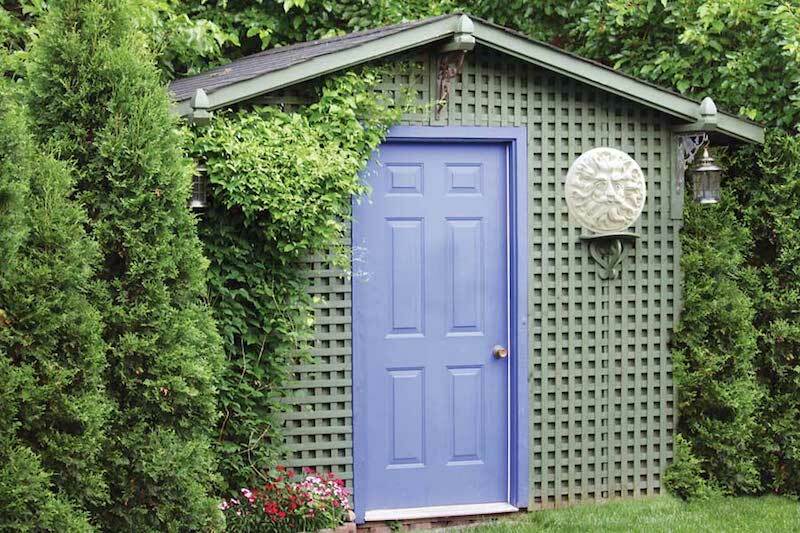 Here you'll find some garden shed ideas to help keep things organized. A garden needs to be maintained regularly in order to keep a healthy appearance. When caring for a garden, it is important to remember that we are dealing with living organisms, and each flower or vegetable needs specific care. An experienced gardener knows their tools, and knows what each plant needs. A part of maintaining a healthy garden is keeping an organized space for these tools, and lets face it, we can’t lug all of our dirty garden equipment into our houses, its simply impractical. A great solution for this is keeping a shed! 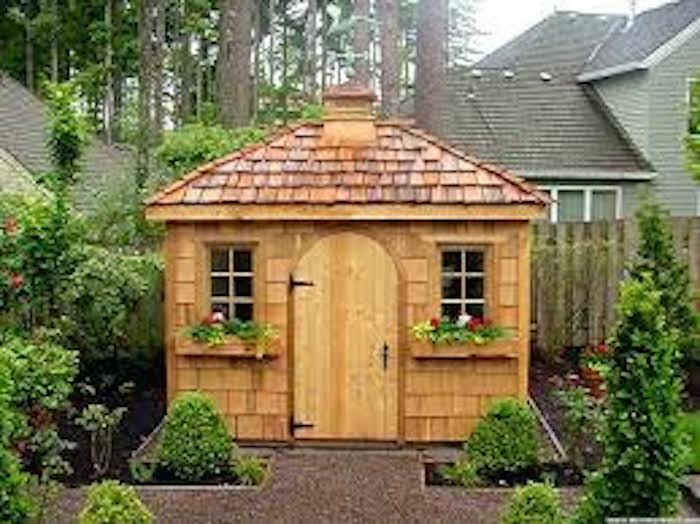 Sheds can be made in all different shapes and sizes, and are functional beyond storage for garden equipment. 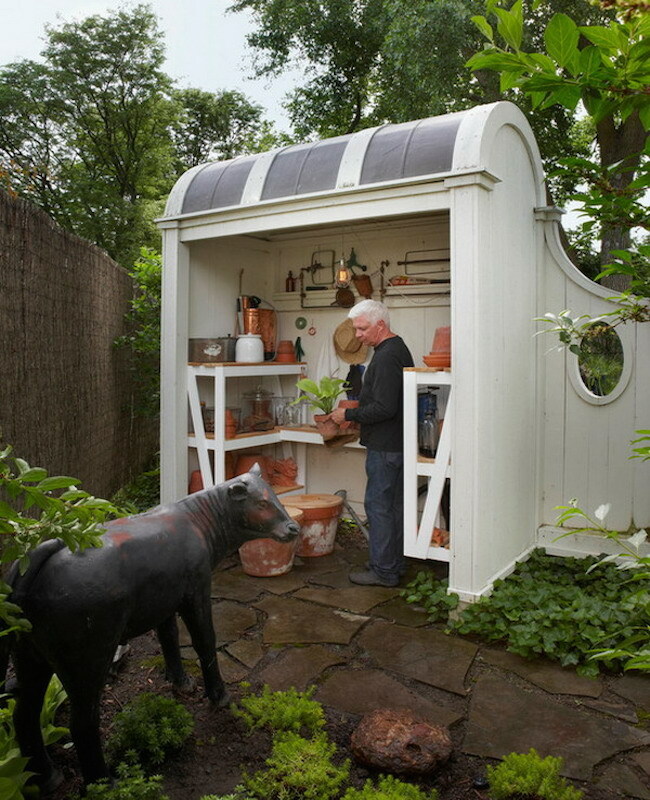 Whether you have the ambition to build your own shed, or you want to buy one and have it installed, here are some unique and creative ideas for a garden shed. Take a look at our examples and find some inspiration! 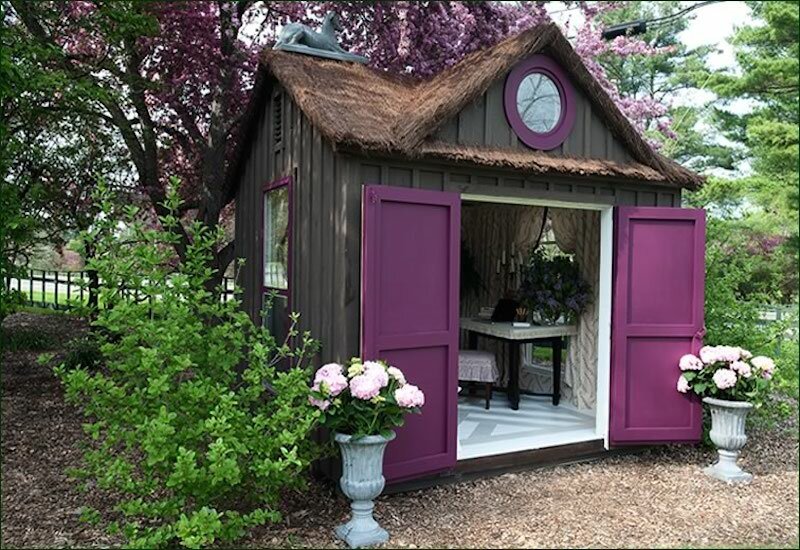 A modest structure with plenty of character, this shed looks like it belongs in a hobbit’s garden. 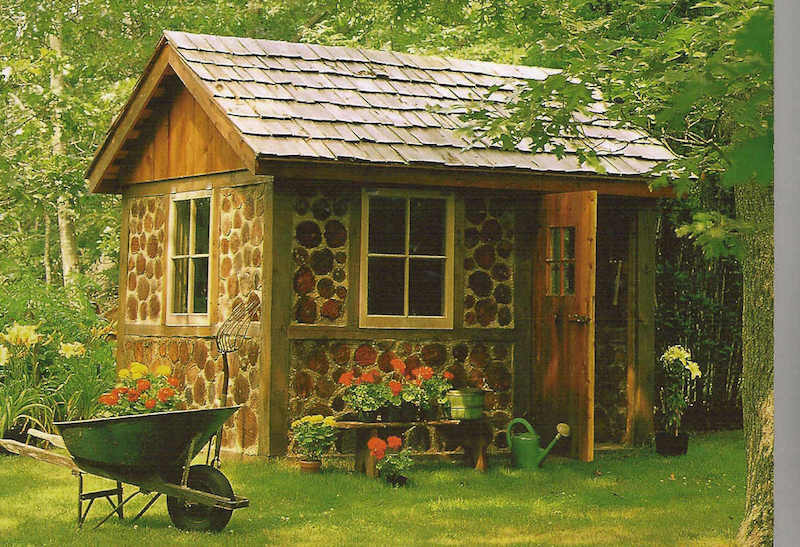 Stone walls and a wooden frame give the shed a homely look. 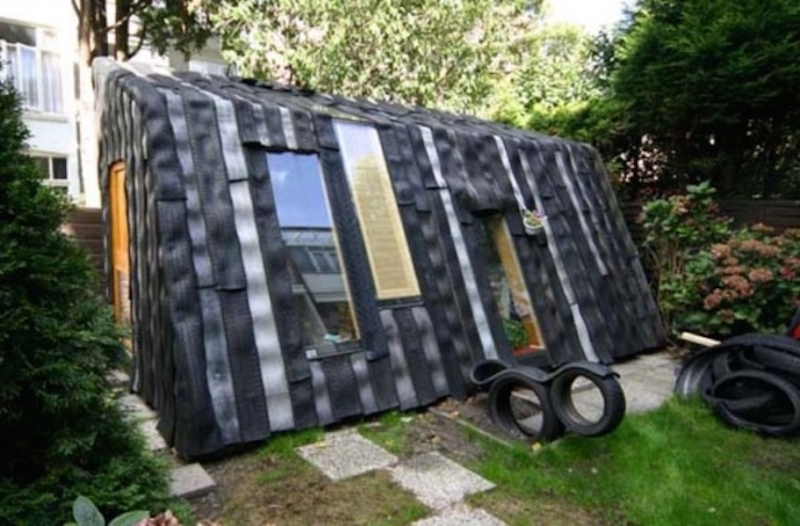 This is a great way to recycle old tires, and create a functional shed! This creative design uses cut up tires to form a wweatherproofexterior, sure to keep out all of the elements. 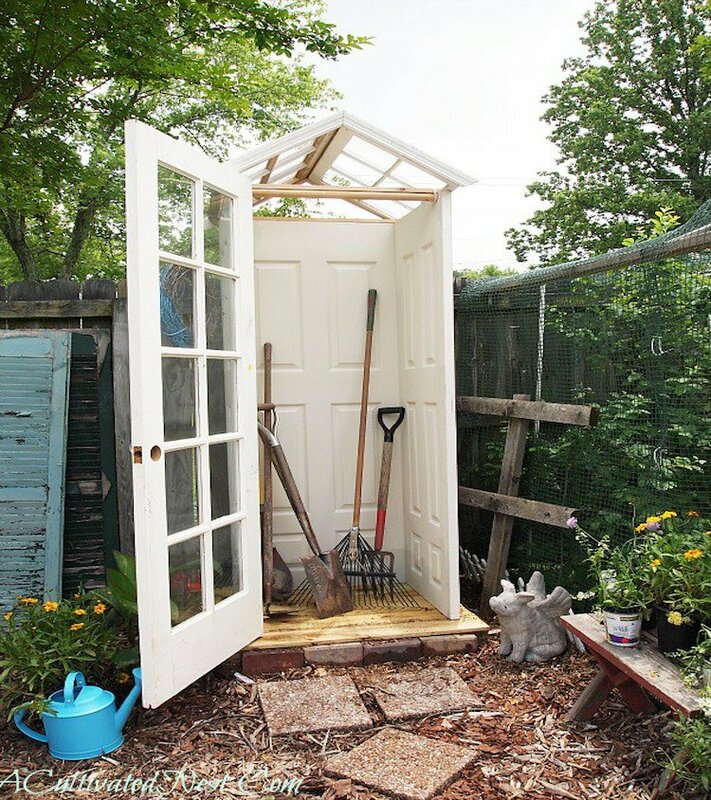 A small space can go a long way if you keep your shed organized. Plenty of shelving and a wall to hang things make this shed a fine example of how to optimize space utilization. 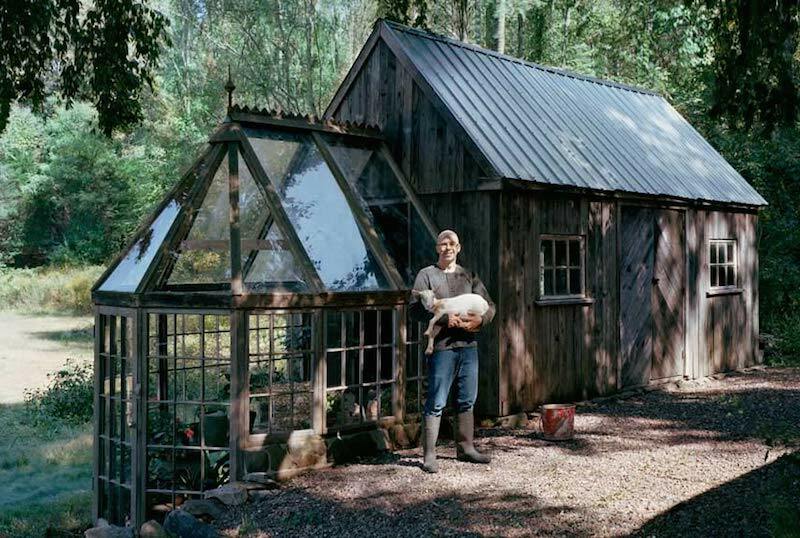 A shed doesn’t have to be made of fancy material or the strongest wood. 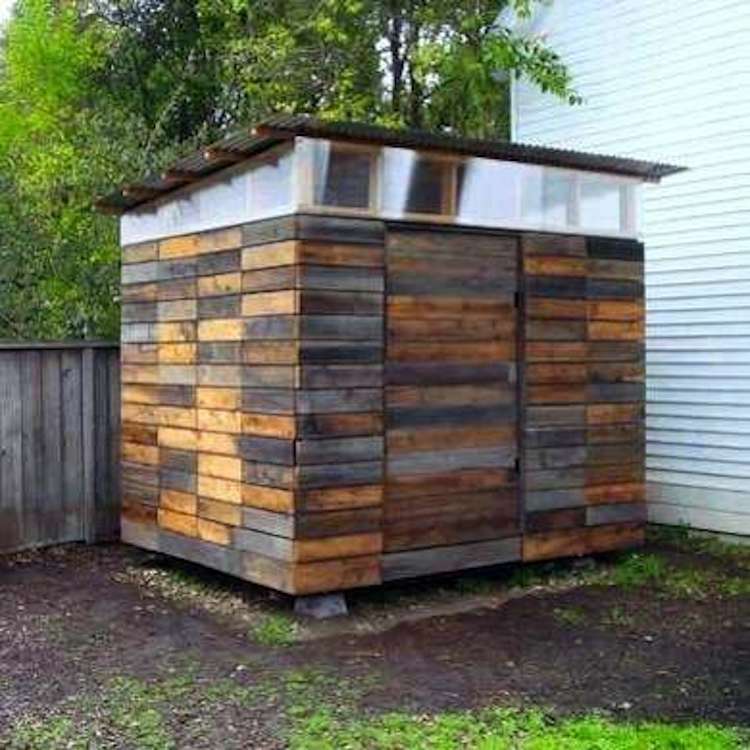 This shed is an example of a cheap way to create storage space, while also making the most of already used materials! 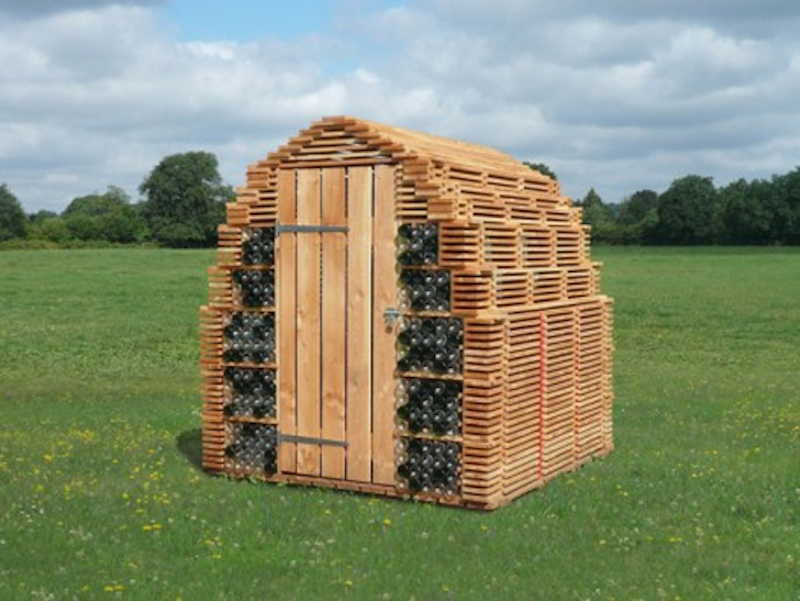 An impressive and creative design, this shed is made of horizontal stacked planks and old glass bottles. This is a great option if you need a storage space that stays well ventilated! A perfect option if you need a storage space, but don’t necessarily want a boxy shed sticking out in your garden like a sore thumb. This lattice siding blends well with the shrubs around it, and vines growing up the side provide extra cover. A small and simple design, this shed keeps things traditional and easy. 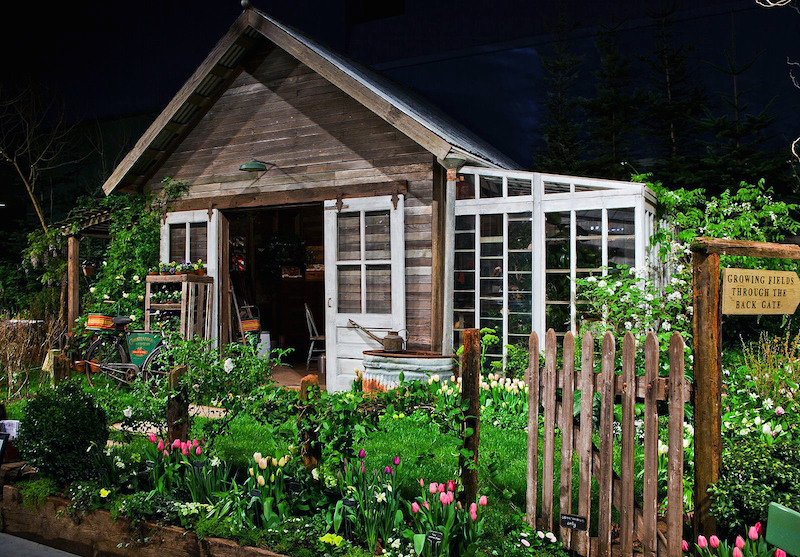 The light wood siding contrasts the green garden well, and there’s just no denying, this shed is adorable. This rustic country style features a greenhouse extension, along with a large unit to the side for storage or other working area. Fading wooden siding and a slanted tin roof compliment the theme of this shed well. This large shed is engulfed in the garden around it! Made of wood siding and a tin roof, the design is somewhat contemporary. A greenhouse extension to the side provides extra garden space for more high maintenance plants. A truly inexpensive and simple design, this creative shed is made of four doors sealed together. The roof is made of recycled window panes. A perfect option if you do not have a lot of space or funds for your storage area.